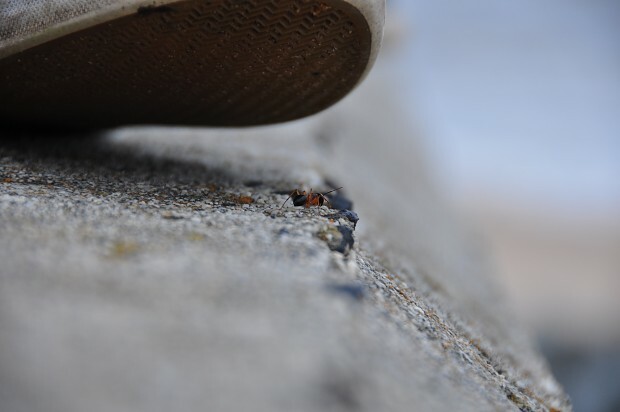 A macro shot of an ant about to meet its doom. Shot with a Nikon D90 with 18-200mm VR lens @ 200mm, f/5.6, 1/160s, ISO200. Note no ants were harmed in the course of taking this photograph.